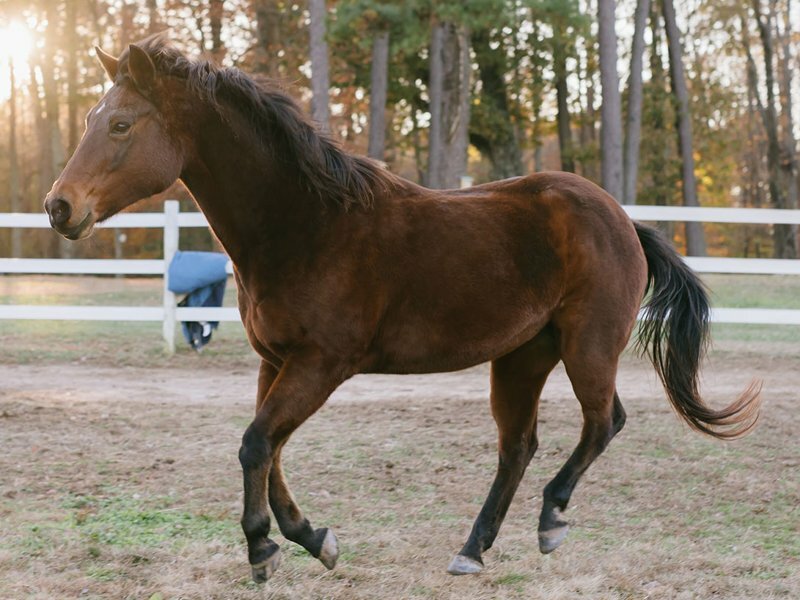 The first time we laid eyes on this traumatized brown mare was at a United States Equine Rescue League foster home. As we listened to the USERL worker share what details were known about her devastating past, Jesse remained at a wary distance with ears pinned and eyes wide and fearful. It was impossible not to take pity on her. Missing 150 lbs, half of her tongue and any trust at all in humans, Jesse made her intentions to avoid all contact with people quite clear. Just a few months earlier, the Rescue League had removed Jesse from a home of staggering neglect. She was so malnourished they feared she would not survive. While some details of her story were unknown, her whole being bore the evidence of long years of harsh treatment – not just her gimpy hind leg and emaciated scarred body, but the damage to her spirit as well. She seemed to have drawn herself inward, trying to escape the terror and pain, determined to hide away from a cruel and uncertain world. We left the foster home feeling somewhat discouraged and wondered if a horse could really come back from such a dark place. Would she ever be a good horse for kids? Even so, we wanted to give this mare a chance. On our second visit, we were able to have more interaction with Jesse. As we tried different ways of making a connection, a remarkable thing happened. Jesse started to soften. It began small, perhaps an ear flicked back or a velvety nose reached out to sniff for a potential friendship. The more time we spent with her, the more convinced we were that this little mare still possessed the will to try – regardless of whatever else had been taken from her. 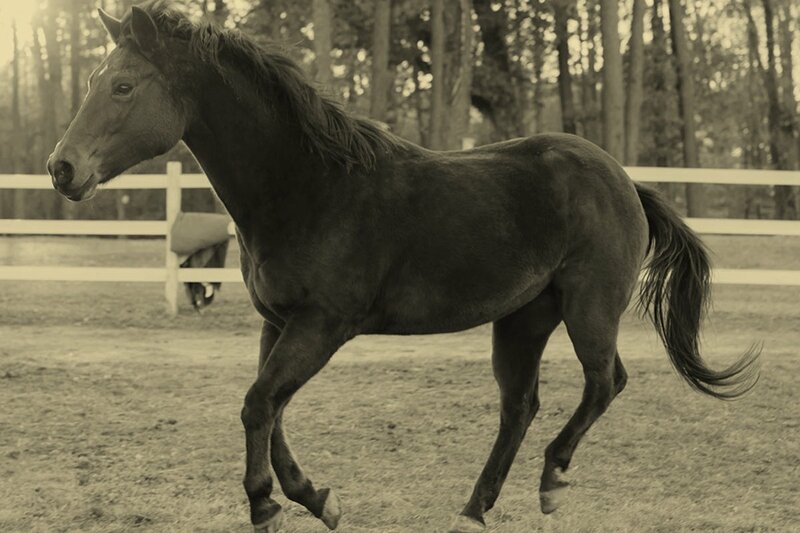 Since that day, Jesse, whose name in Hebrew means “gift,” has grown into one of our kids’ most beloved horses. Many children who come to the Ranch with similarly traumatic backgrounds are drawn to her quiet, sensitive nature and understand her need for a loving and gentle leader. Over the years, as Jesse learned to trust her new human companions, we have seen her kindness and tenderness shine more brightly than we ever thought possible. We are amazed daily that the mare we first met, so hardened in self-defense, now exudes such a soft and gentle spirit. She is a picture of the gift that God offers each of us – the gift of His exceedingly abundant love that can soften any heart, redeem any wrong and heal any wound. He is the bringer of all restoration! Would you consider committing to a $25 monthly sponsorship, supporting Jesse financially with a onetime donation, or signing up to serve at the ranch?